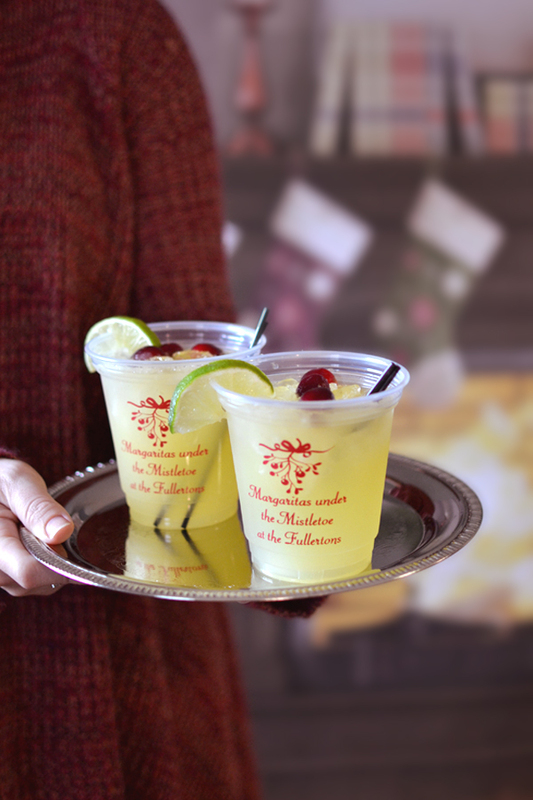 Our most versatile cup. 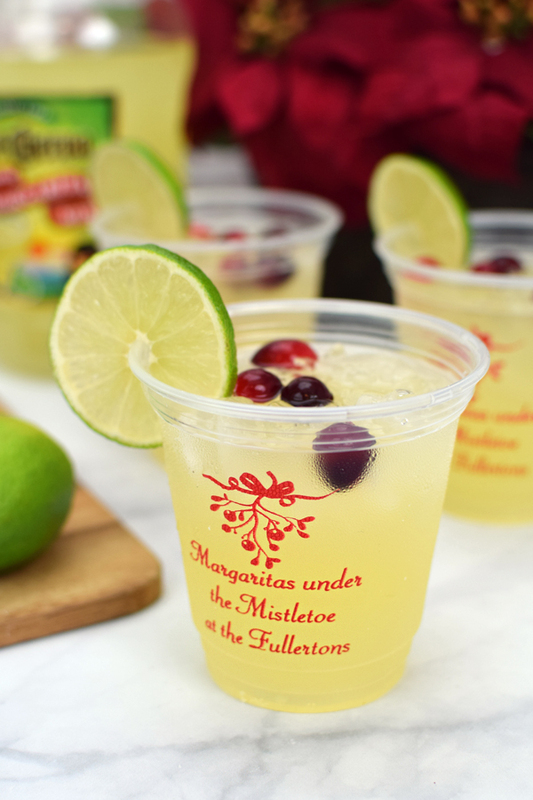 These disposable, 12 ounce plastic Christmas cups hold just the right amount and are perfect for serving cocktails, punch, beer, soda, and so much more at your holiday gatherings. Custom printed with a festive Christmas design and up to three lines of text. 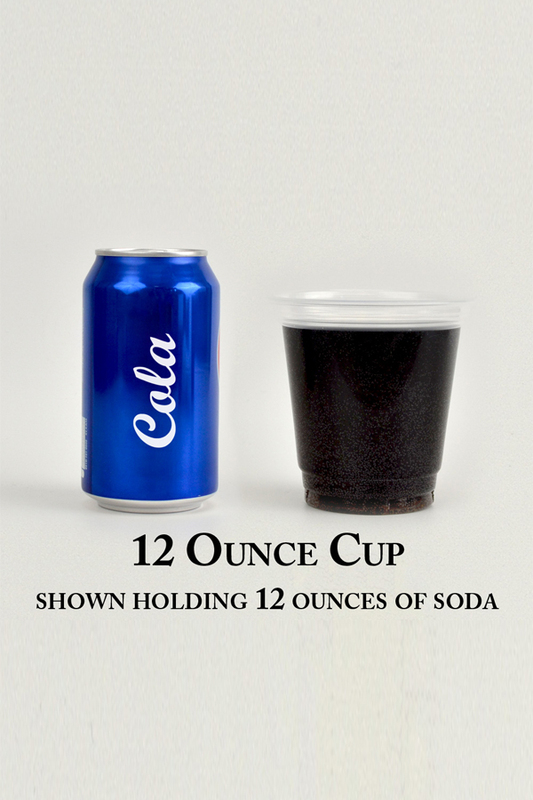 Each clear Solo cup measures 4 1/2 inches tall by 3 1/2 inches in diameter and will hold up to 12 fluid ounces. Made from soft-sided clear plastic.